Pullquotes and callouts draw attention to key points and entice readers to continue reading by highlighting short passages of text. Both have room for content and an optional image. Quotes also have an attribution field. 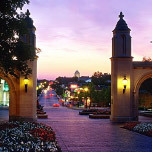 I would say that there is probably nothing more important as part of the education of students at Indiana University than the international engagement aspect of their education. The success of our city is built on one uncompromising promise: invest in our people to bring strength to all.